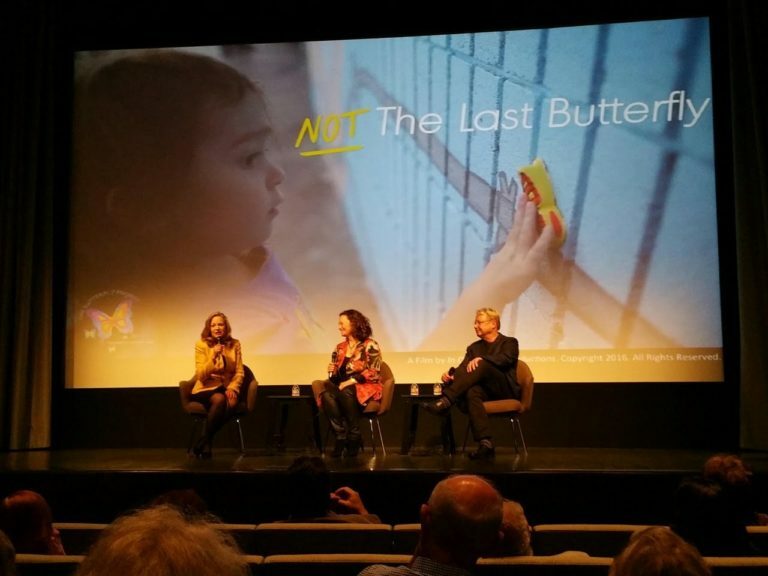 LOS ANGELES (May 10, 2016) Emmy-nominated documentary filmmaker Joe Fab screened his latest effort, NOT The Last Butterfly, in a sneak preview at the prestigious Museum of Tolerance in Los Angeles on May 3. 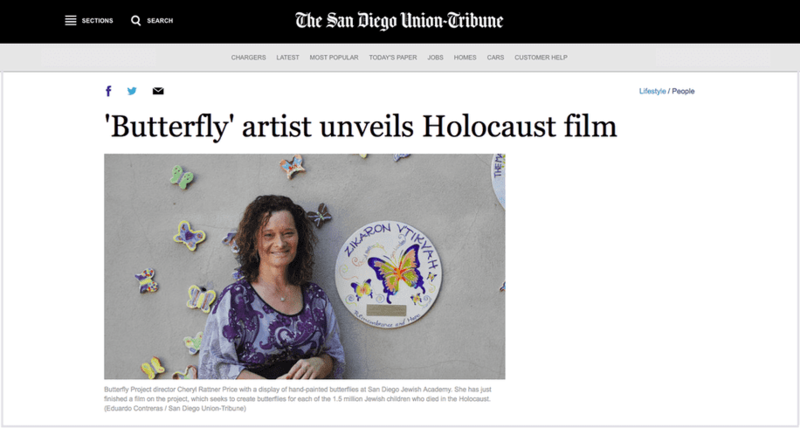 Fab co-directed and produced the story of a global project to memorialize the 1.5 million Jewish children murdered in the Holocaust with first-time filmmaker Cheryl Rattner Price, the San Diego-based ceramic artist behind The Butterfly Project. 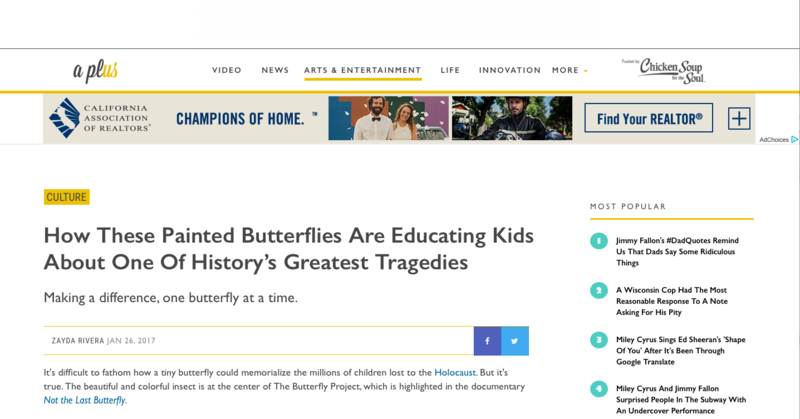 Following the film’s first public viewing, a standing ovation greeted Fab, Rattner Price and Museum of Tolerance director Liebe Geft when they took the stage for what proved to be an extended and occasionally tearful discussion. “All my hopes for a positive response were met, and I was overtaken by surprise and joy as audience members wept and laughed in all the right places,” Fab reported. 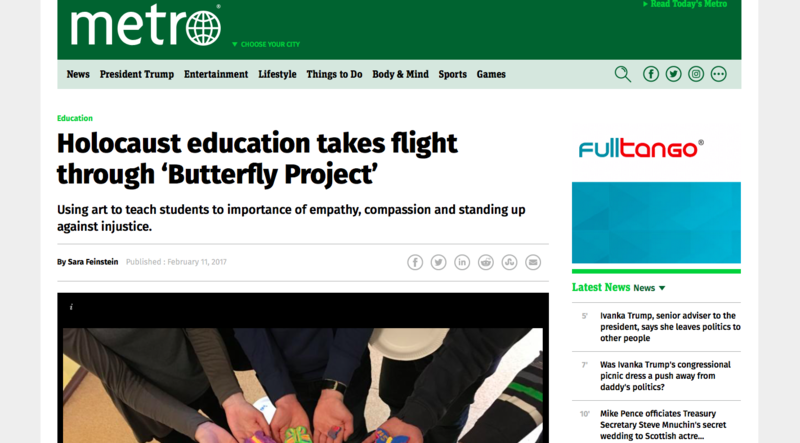 In addition to chronicling The Butterfly Project, NOT The Last Butterfly features Holocaust survivor Ela Weissberger who endured imprisonment in the unusual and lesser-known Terezin concentration camp in the Czech Republic. 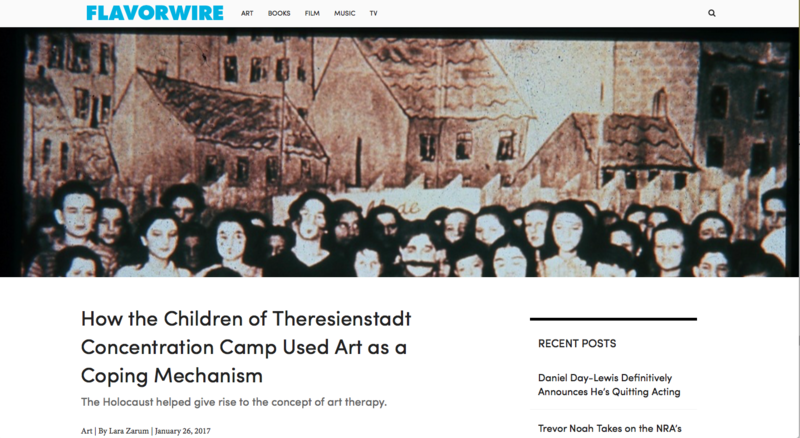 Fab and Rattner Price took Weissberger back to Terezin to dramatize how artist Friedl Dicker-Brandeis used early art therapy to help Ela and other children maintain their emotional and psychological sanity while surrounded by the horrors of the Holocaust. 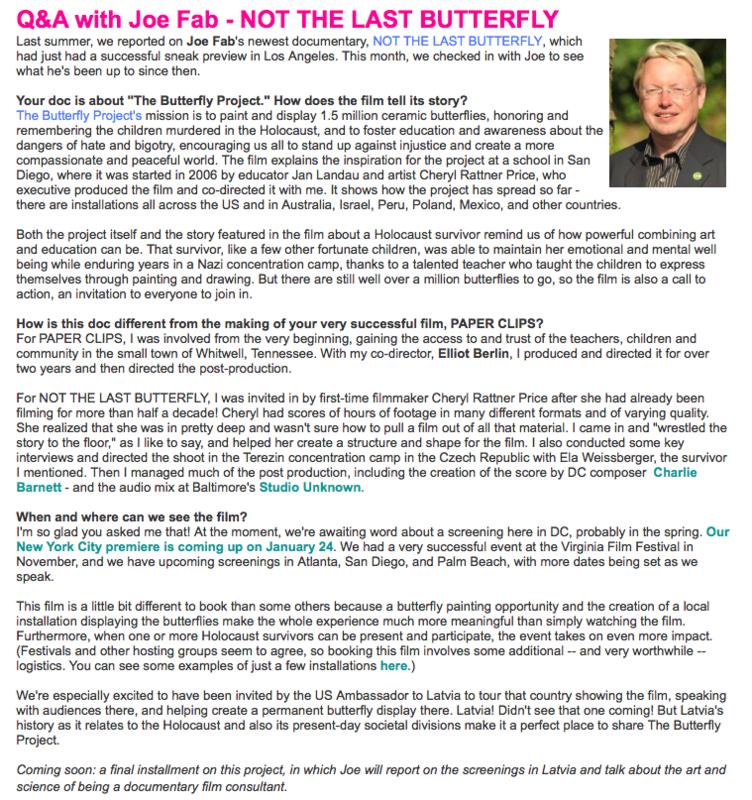 NOT The Last Butterfly was filmed on location in the U.S., Czech Republic, Poland, and Israel and features an original score by composer Charlie Barnett. 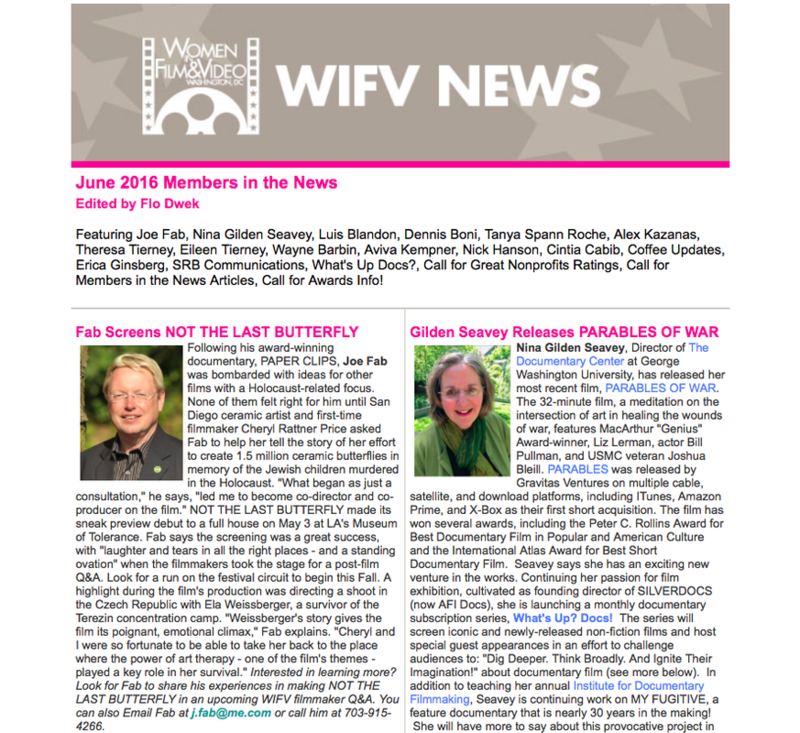 Mainstream and Jewish festival screenings are planned beginning in the fall, following several more test screenings. 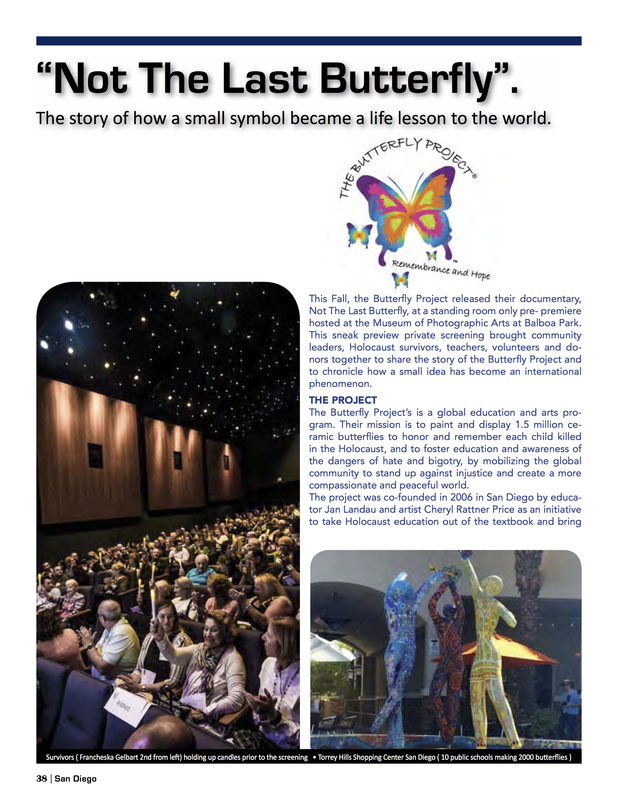 For information about the documentary NOT The Last Butterfly and The Butterfly Project contact the organization’s Executive Director Cheryl Rattner Price at info@thebutterflyprojectnow.org. 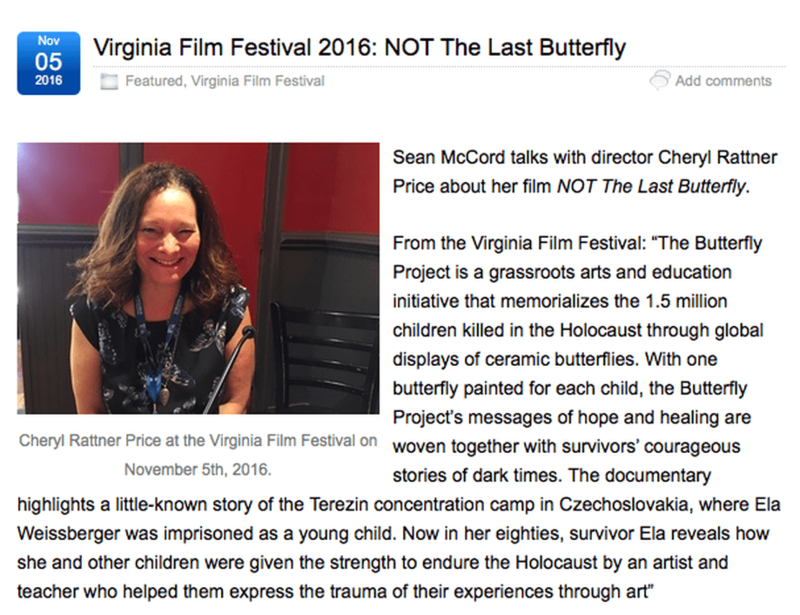 NOT The Last Butterfly tells the inspiring tale of The Butterfly Project, a grassroots arts and education initiative that memorializes the 1.5 million children killed in the Holocaust through global displays of ceramic butterflies… one butterfly painted for each child. 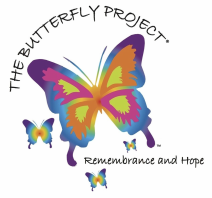 The Butterfly Project's messages of hope and healing are woven together with survivors’ courageous stories of these dark times, including a little-known story of the Terezin concentration camp in Czechoslovakia, where a young Ela Weissberger was imprisoned as a child. 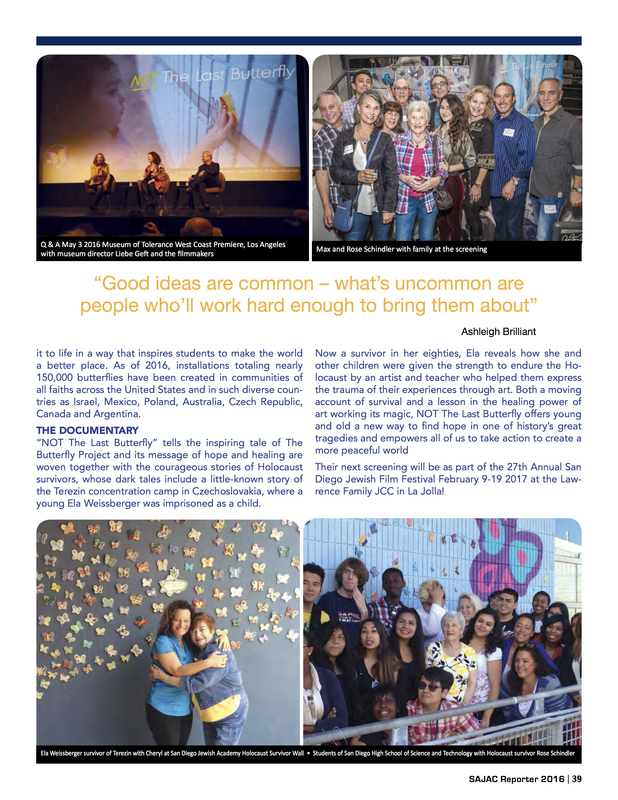 Now a survivor in her eighties, Ela reveals how she and other children were given the strength to endure the Holocaust by an artist and teacher who helped them express the trauma of their experiences through art. 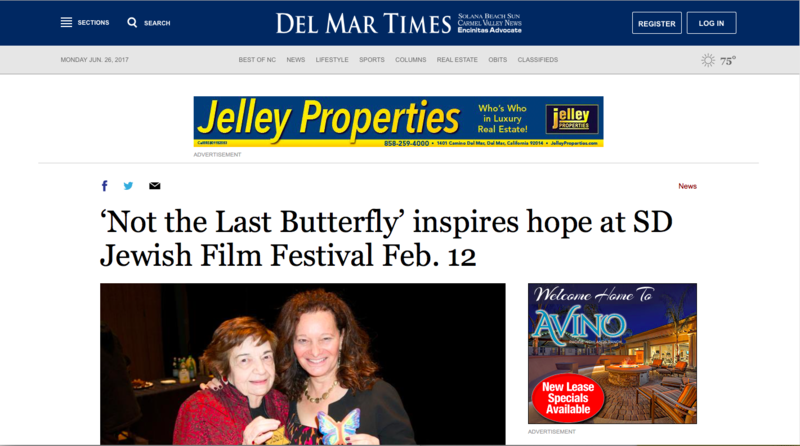 Both a moving account of survival and a lesson in the healing power of art, NOT The Last Butterfly offers young and old alike a new way to find hope in one of history’s great tragedies and empowering all of us to take action to create a more peaceful world. 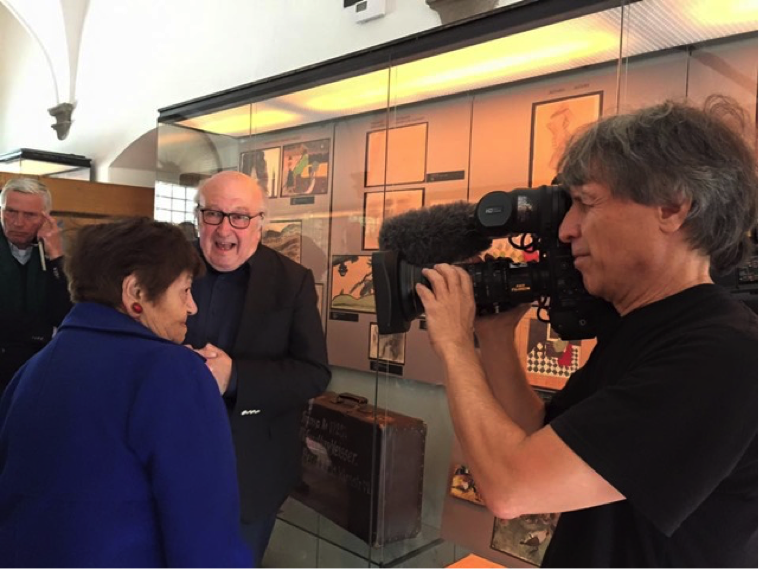 Filming in Prague with Holocaust survivor Ela Weissberger who spoke with Dutch tourists in the Jewish Museum.